Overview: The Amdo of China, numbering 1,320,000, are Engaged yet Unreached. They are part of the Tibetan people cluster within the Tibetan / Himalayan Peoples affinity bloc. This people group is only found in China. 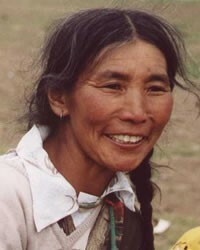 Their primary language is Amdo Tibetan. The primary religion practiced by the Amdo is Tibetan Buddhism, a branch of Buddhism characteristic of Tibet and certain regions of the Himalayas.